Get a $50 Visa® Prepaid Card by mail-in or online rebate1 when you use the Volkswagen Service Credit Card on a qualifying purchase of $250 or more (before tax). Offer valid 04.01.18–05.31.19. Allow 8–10 weeks for delivery of Visa Prepaid Card. 1Subject to credit approval. Valid on a qualifying purchase of $250 or more from 04.01.19–05.31.19. Submit rebate within 45 days of purchase date. Complete purchase must be made on the Volkswagen Service Credit Card. Not valid on prior purchases. One Visa Prepaid Card per visit. Cannot be combined with other credit card rebates. Valid at participating Volkswagen locations. Visa Prepaid Card is given to you as a rebate and no money has been paid by you for the card. Visa Prepaid Card is issued by MetaBank®, Member FDIC, pursuant to a license from Visa U.S.A. Inc. No cash access or recurring payments. Can be used everywhere Visa debit cards are accepted. Visa Prepaid Cards expire after 6 months; unused funds will forfeit after the valid through date. Visa Prepaid Card terms and conditions apply. Volkswagen dealer locations are not affiliated with Visa. See Volkswagen dealer for complete rebate details and rebate form. MetaBank or Visa does not sponsor or endorse Volkswagen Service Credit Card. The Volkswagen Service Credit Card is issued by Citibank, N.A. 2With credit approval for qualifying purchases made on the Volkswagen Service Credit Card at participating dealerships. As of 12.26.18, Purchase APR: Variable 30.74%. Minimum interest charge $2.00. See card agreement for details. Offer valid for consumer accounts in good standing; is subject to change without notice; see dealership for details. May not be combined with any other credit promotion offer. Do you want to continue to ApplyVWServiceCard.AcountOnline.com? 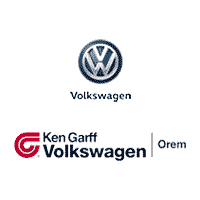 Ken Garff Volkswagen	40.2742207, -111.6925035.